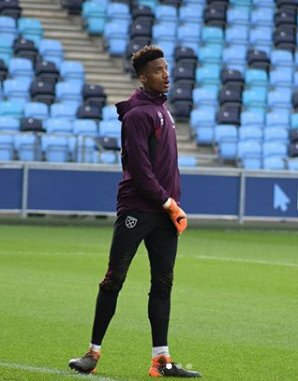 Nathan Trott was an unused substitute as his West Ham United Under 23 teammates let a 2 – 0, 80th minute lead slip at Chelsea as the hosts scored three times late on to secure their second victory over West Ham United in Premier League 2 this season. Goals from Reece Oxford and Joe Powell – from the penalty spot – had West Ham United sailing until a frantic final ten minutes left the visitors crestfallen at Aldershot Town FC. In the 81st minute Chelsea made some changes, the Hammers tired and soon the contest had just a goal separating the two sides as sub Luke McCormick drove into the bottom corner from ten yards. And within two minutes, the derby was poised level at 2-2. McCormick this time turned provider, floating a perfect cross into the box for fellow change Daishawn Redan to head in. One final attack in stoppage time saw McCormick cushion a header into the far corner to make it Chelsea 3-2 West Ham United.